Sunday Scan time! 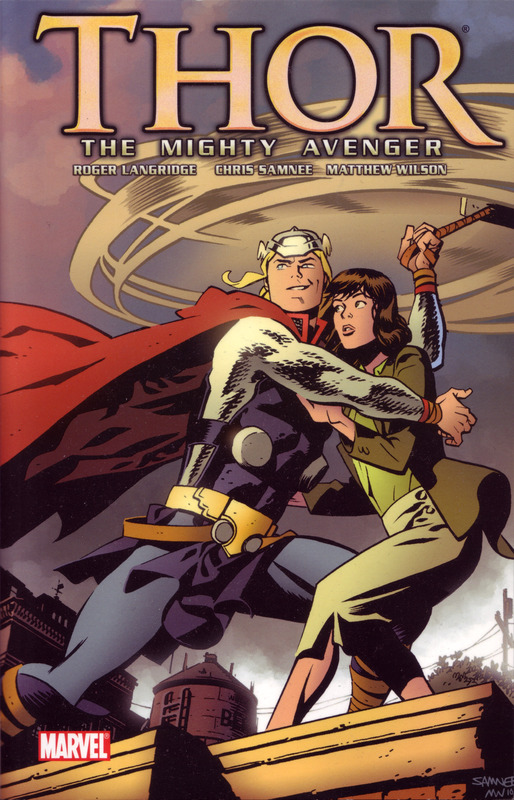 This is the cover to Thor – The Mighty Avenger (2011). This digest-sized trade-paperback collects the 4 issue limited series where Roger Langridge & Chris Samnee re-imagined the Norse god’s origin in a more modern setting. I love the animated looking action and the expression on Jane’s face as she looks at Thor. Pencils and inks by Chris Samnee and color by Matthew Wilson & Christina Strain.